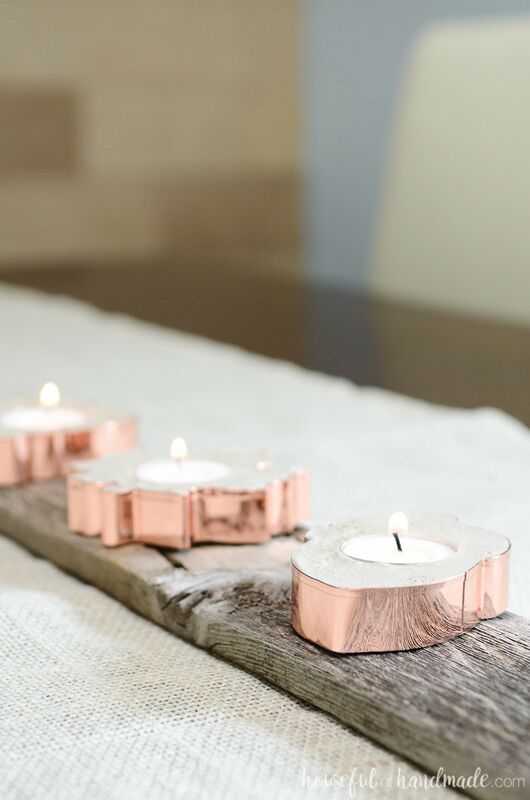 Make these easy copper candle holders for fall to add a bit of glamor to your home decor. Concrete and copper make a beautiful statement for autumn. 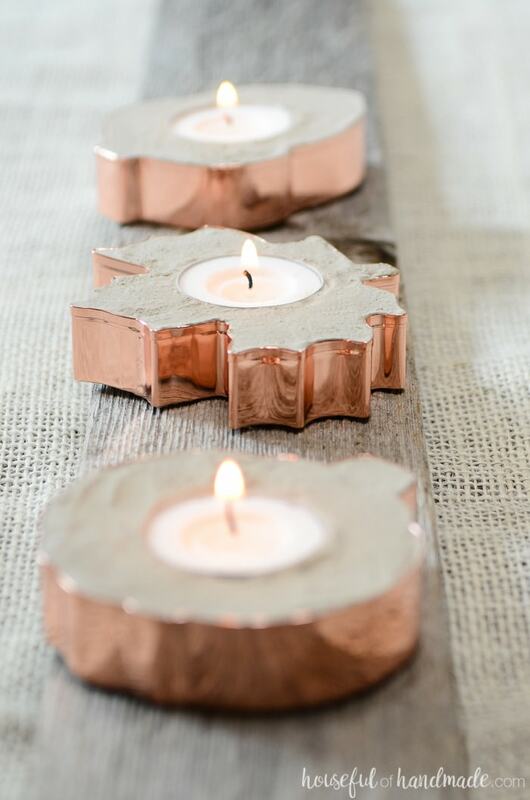 Copper candle holders are the perfect way to add some bling to your fall decor. 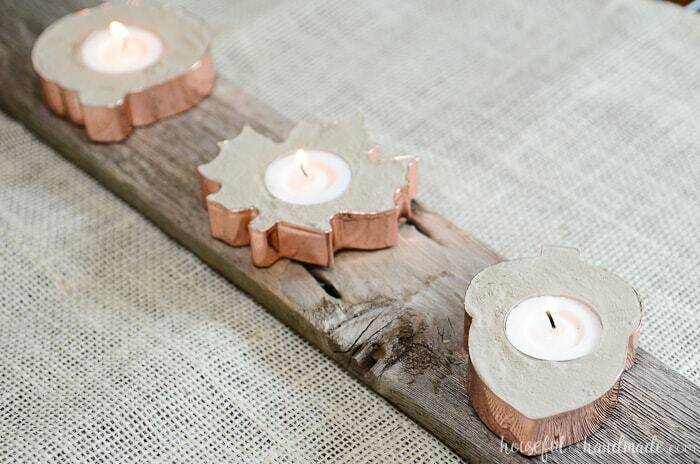 Copper cookie cutters are the perfect backdrop for industrial concrete candle holders. They are so easy to make, you will want to sprinkle them all over your house this season in place of pumpkins. Fall is almost here. The nights are starting to cool off nicely, but it is still super warm during the day. However, I am not letting it stop me from filling our home with fall decor. I haven’t pulled out the pumpkins yet, but everything else for fall is fair game like this fall watercolor leaf art! As I was going through my fall decor boxes, I found some copper fall cookie cutters I bought last year and never used. Do you do that too? I originally was thinking of using them in a wreath or something, but I am glad I didn’t get around to it. 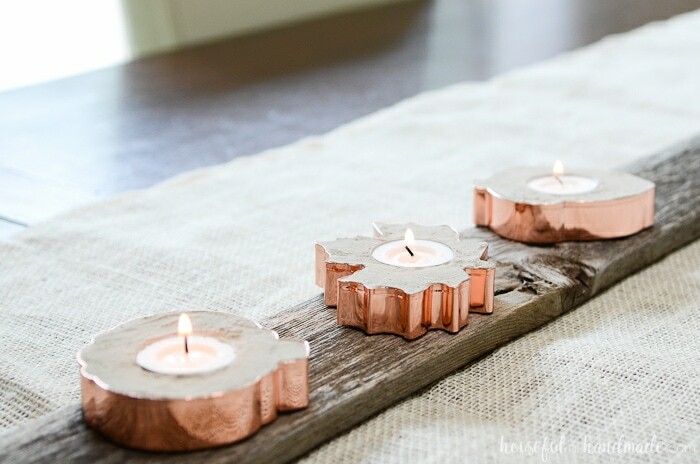 When I saw them this year, I knew immediately what I wanted to do with them: turn them into copper candles! I thought it would be beautiful to fill the cookie cutters with wax. But then after they burned out, there would just be a huge mess. Then it came to me… concrete! I love all things concrete. It’s the perfect accent for any home decor and I love it next to the copper. 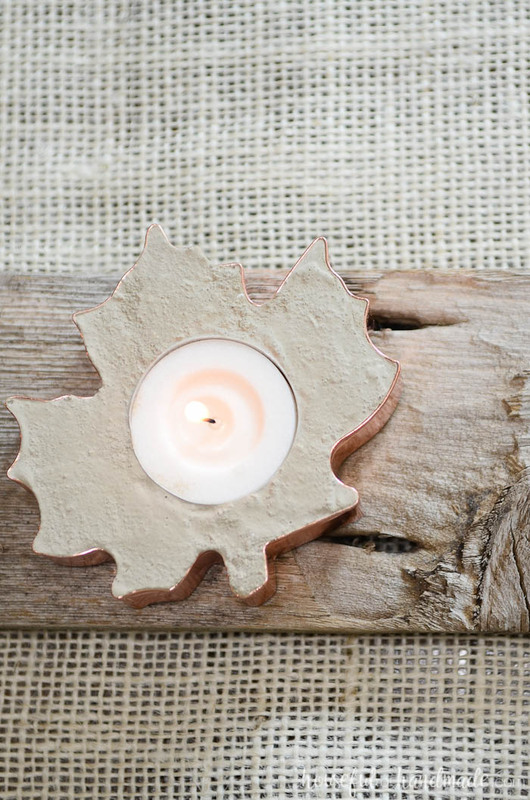 So I turned the beautiful fall cookie cutters into concrete candle holders and they are gorgeous! The shine of the copper is balanced by the industrial concrete. 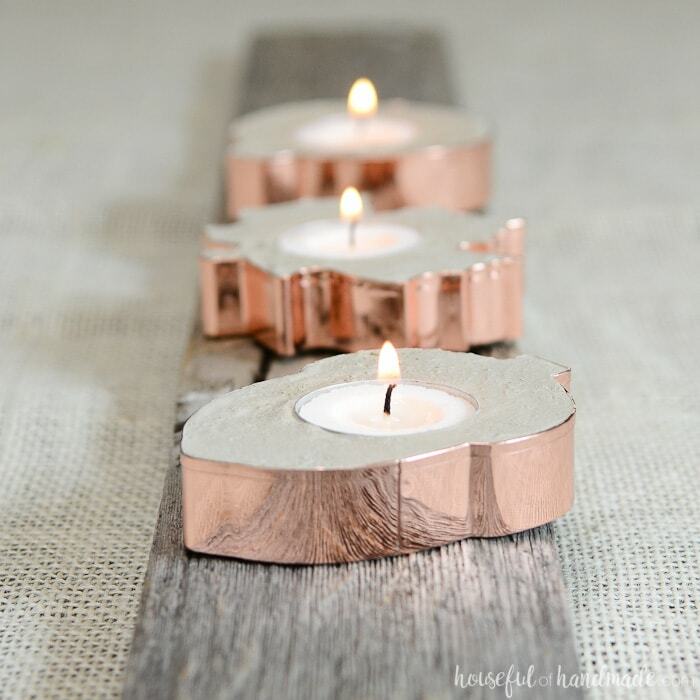 And the size of the cookie cutters makes the perfect copper tea light holders. 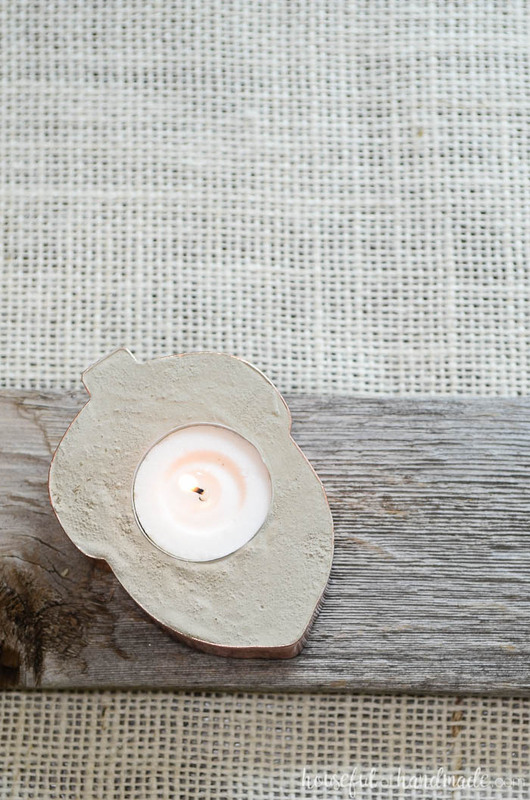 Just think of all the different concrete candle holders you could make out of cookie cutters. You could make them for every season because they are so easy and quick to make! 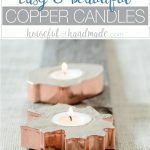 If you are ready to make your own copper candle holders for fall, click on the arrow below for the full tutorial. And don’t forget to check out all the rest of the DIY Crafts Tutorials for every season!